Seafoam Lavender Farm Ltd. | Halifax Seaport Farmers' Market Ltd.
A small, family-operated agricultural and manufacturing business owned by Dave, Suzy, and Collin Belt, Seafoam Lavender encourages a healthy lifestyle by creating all-natural culinary, household, and skincare products. We manufacture in small batches to ensure freshness and use no artificial colours or suspected carcinogens. Located in a park-like setting on the Northumberland Shore (20km west of the Pictou Rotary on the Sunrise Trail), Seafoam Lavender Farm is open to the public during the summer months. Visitors can stroll through the 3,500 budding and blossoming lavender plants; take a self-guided educational tour; and do a U-pick of lavender bud bouquets in late June through early July. The third weekend of July, the Belt Family hosts the annual Seafoam Lavender Festival, which attracts thousands of lavender aficionados from all over the world. 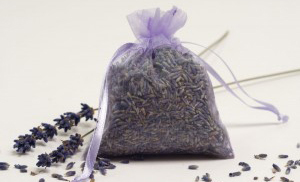 In addition to the seasonal farm operations in Seafoam, you can also find Seafoam Lavender year-round at the Halifax Seaport Farmers’ Market. Contact us for specific hours of operation.